Dr Evan Harris MB. Chb. MP. 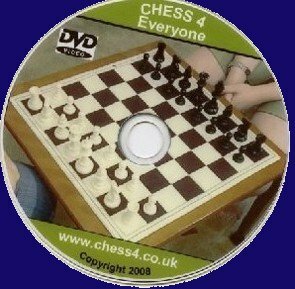 Endorses Emma's New Chess Training DVD out now. Dr Harris states Chess it is well recognised for its place in education. He is an accomplished chess player and is seen below playing Emma and filming the introduction. 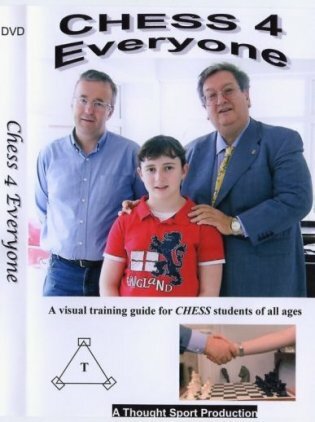 Emma with Grand Masters, GM Raymond Keene OBE & GM Nigel Davies play and analyse their games in this modestly priced DVD. The above is taken from Chesterfield Chess Club Website Saturday Dec.13th. 2008. Courtesy of Dave Latham. Emma started playing chess in June 2005. Her first competition was at the Abbey Hotel Sheffield later that Summer in the Woodseats Cup. Organised and run by the Sheffield and District Chess Association secretary Bill Ward. Emma had never seen a chess clock at that time and had a crash course in their use five minutes before play commenced. She actually won one game out of six that night. Emma was introduced to the juniors at the SASCA Chess Club, Handsworth Christian School, Sheffield. She joined the Monday night club and by November she entered and won the Sheffield Under 9 Championship for boys and girls. Matches were played for Yorkshire in the Under 11 and Under 14 sections with outstanding success beating England players in the process. In November 2006 Emma won the Eastern Region All England's Girls Under 10 Championship. Again February 2008. June 10th 2007 won the World Open Girls Under 11 Championship. Las Vegas Chess Festival. June 30th 2007 Won the All England Girls Under 10 Championship. "The further backward you look, the further forward you can see." Winston Churchill. This is not a professional website so if it's a bit out of line, who cares. Powered by Continuum webset db1999 © For Kings Queens Pawns Emperors and Fools. All photographs contained in this site are either the property of Emma Bentley or produced here with the owners and or subjects permission. If you object to any part of the content of this site please contact the owner of the site.